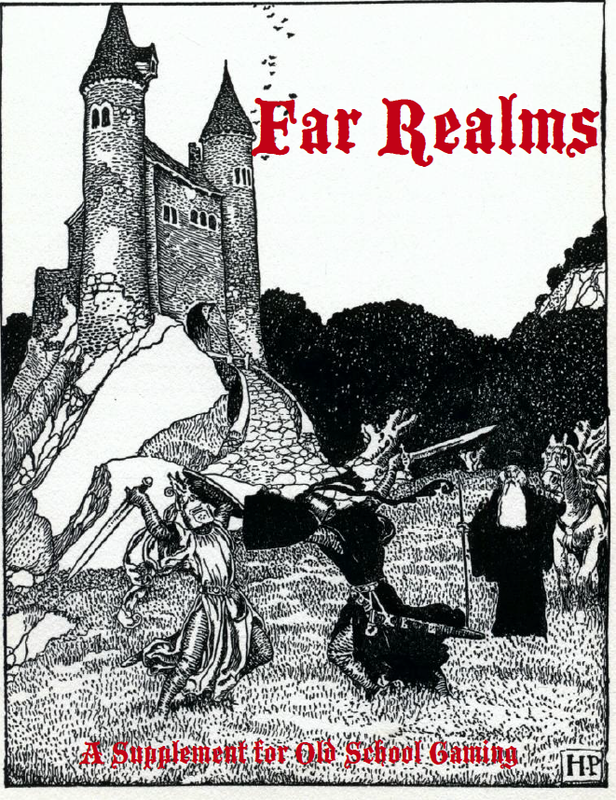 Far Realms is an OSR supplement designed to flesh out any OSR game. With 4 new PC classes, 4 NPC classes, detailed rules for disease and parasites, and more than 30 pages of spells Far Realms has something for everyone. You can purchase a hardcopy of Far Realms at Lulu.com. If you purchase a hardcopy of Far Realms from Lulu.com you will receive a discount coupon for the PDF! A supplement with 5 fleshed-out NPCs - free!